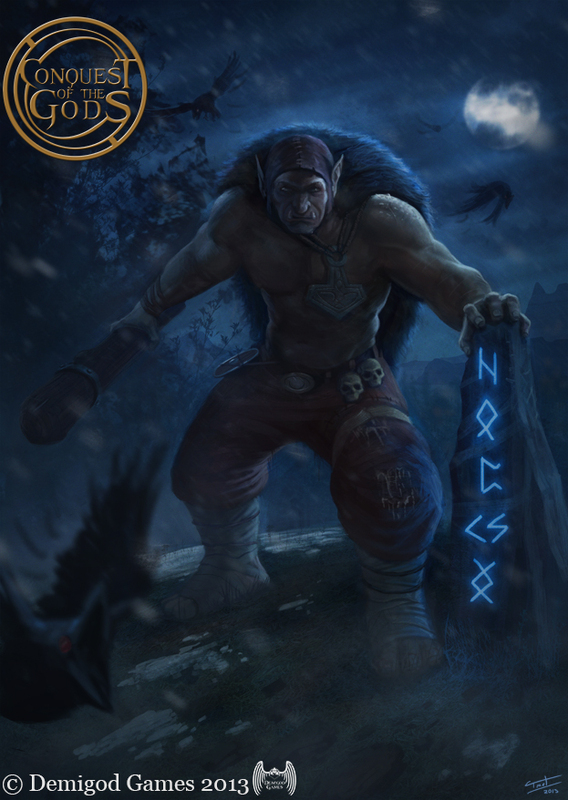 Over the past few weeks we have hear that people would like to see some of the games artwork so we will kick things off with a preview of some of the Norse Artwork by Forrest Imel. We have already covered that each section of the Conquest of the Gods core rule has fiction penned by different fiction writers, we would like to announce that each section will also have its own style of artwork, done by a different artist. This gives each section of the book its own unique feel. 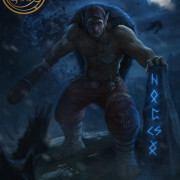 Forrest Imel has been working on the illustrations for the Norse section of the book. Forrest comes to the team with some fantastic industry experience and has a unique style that will set the Norse artwork out from that of the other sections of the book. If you would like to see other examples of Forrests work, check out his portfolio via http://forresti.daportfolio.com or at his DeviantART over at http://forrestimel.deviantart.com. For those budding artists who would also like to know more about his artistic approach and ask questions, Forrest runs a live stream called ‘Art with Forrest’ that can be viewed over at http://www.livestream.com/artwithforrest . 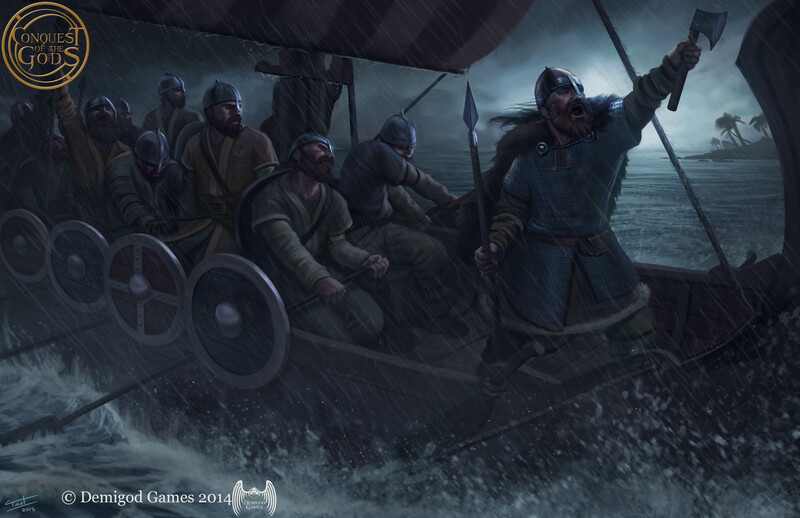 We have two examples of the Norse artwork for you today, both are of models we have already previewed and will feature in the starter sets for the Norse army. 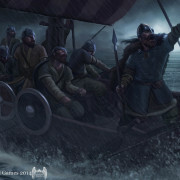 The second image features some Norsemen being led by their Hersir. Next time we will feature work from the Greek section of the rulebook, this section of the book is being illustrated by talented Australian artist George Evangelista. There is also two social media icon additions at the top of the page, we have added Pinterest and Instagram to our social media commitments for those of you who are more visual. Hi Guys, Just to clarify – Its Norse, Greek, Japanese and Egyptian.